I will draw on experience in a number of projects on the small Hebridean island of Tiree and also my 1000 mile walk around the edges of Wales. A. Dix. (2016). 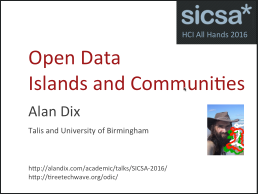 Open Data Islands and Communities. 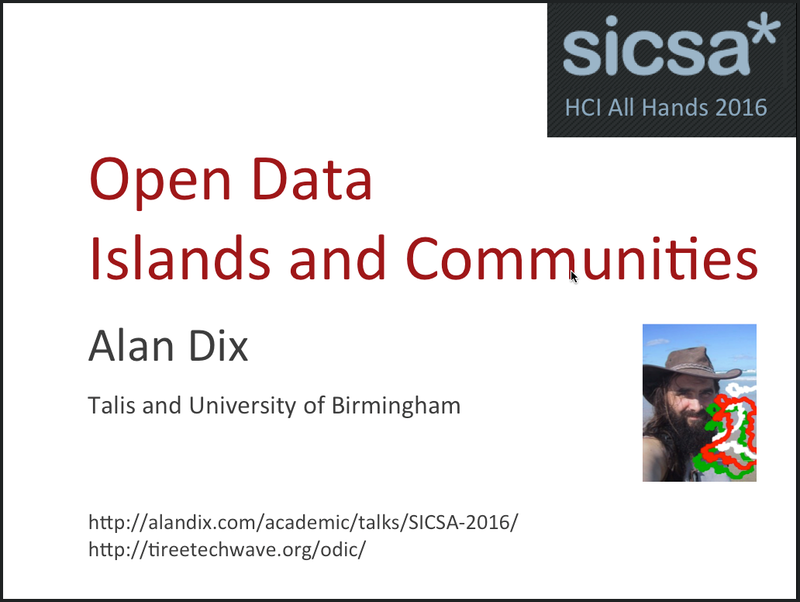 Keynote at SICSA HCI All Hands Meeting 2016, St Andrews, Scotland, 29 November 2016.